Why a 125? Well, in the world of dirt bikes, bigger isn’t always better, in the same way smaller isn’t always easier to ride – at least that was the case once the Japanese started taking an interest. The world of GP racing included a variety of classes, with the 250cc and 500cc classes being the premier ones. However, there had been growing interest in the 125cc class in both the USA and Europe, where initially the youth scene was the place where 125s were to be seen. Kawasaki produced a fabulous bike which had all the attributes of the bigger machines and became a legend in its own right. 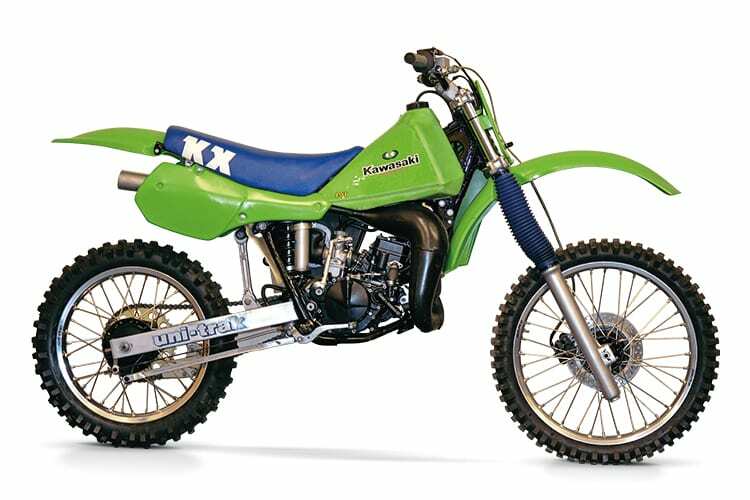 This was no kids’ toy but a full-size race machine able to mix it with the best and in order to ensure their bike would mix it Kawasaki made sure it had the best bits on it… after that it was up to the rider.